How do non-English speakers access health and wellness education? For first-generation immigrants, the answer may be that they simply don’t. 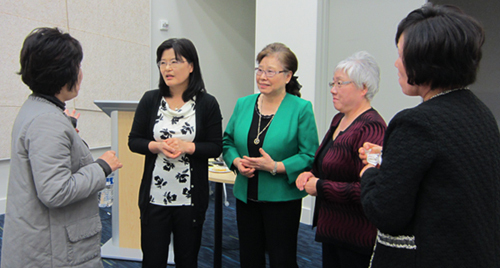 The Verdant Health Commission partnered with Korean Women’s Association to make it easier for Korean speakers to learn how to manage their health and navigate the health care system. KWA will offer a series of classes in Korean on cancer prevention, nutrition, fall prevention and health insurance enrollment. Korean Americans have health concerns that may be different than other ethnic groups. For example, Korean Americans are at a much higher risk for stomach cancer than any other ethnic group. These classes will address the cultural and ethnic-specific needs of these communities. Learn more about this program on Korean Women’s Association’s website.